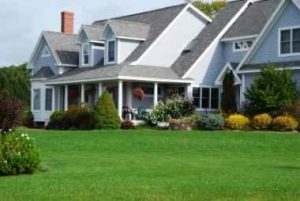 Hoffman’s lawn care in Powell Ohio is a full-service lawn company that will help you easily manage your lawn care requirements. Today’s homeowners have to work smarter within a challenging economy. Your home is one of your biggest investments, and how you maintain and care for it will show up instantly in your lawn care and garden. When your lawn, trees and shrubs begin to display trouble spots, looking dull and lifeless, it’s important to look for the professionals who understand horticulture and particularly the nuances of our Ohio climate and vegetation. If your lawn or garden is going through a rough patch, maybe it’s time to call in the experts. Hoffman’s lawn service in Powell Ohio also provides other important services such as lawn aeration, landscaping design and installation, as well as mulch and compost installation, pest control services, and spring and fall clean-ups. 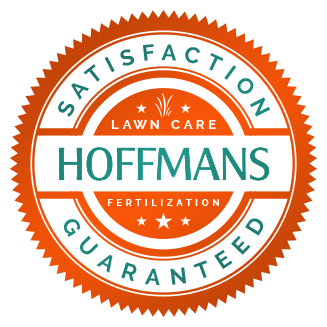 The value you receive for your money is brought to you by a friendly team of lawn care specialists who are comfortable with talking over your requirements and preferences with you. We understand more than most, after many years in the lawn care business that maintaining a healthy, green and lush garden is not always easy. For a garden to flourish, your gardener must be familiar with the particular pests that can quickly destroy prized flowers and shrubs, and the diseases that will attack your trees and grass. He must also be familiar with the peculiarities of the region where you live, so that he can better understand seasonal fluctuations and how to prepare for them. Hoffman’s team of specialists do all that and more, with a smile. If you have discovered that the secret of a beautiful lawn and garden is plain old hard work and rolling up your sleeves, but don’t have the time to invest in your yard; then it’s time to call Hoffman’s Powell Ohio lawn maintenance company. A free consultation with one of our lawn care specialists will help you find out how Hoffman’s can help you get your garden looking beautiful again.